In an exciting development, North and South Korea opened a joint liaison office in the Northern city of Kaesong on Friday. This sets up a permanent channel of communication as part of a flurry of efforts to end their decades old rivalry. 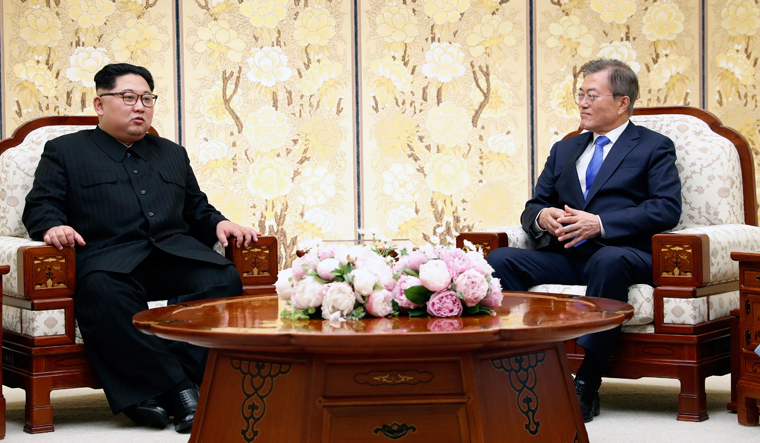 "A new chapter in history is open here today," South Korean unification minister Cho Myoung-gyon told a ceremony, calling the office "another symbol of peace jointly created by the South and the North". The nuclear-armed North's chief delegate Ri Son Gwon responded in kind, calling it a "substantial fruit nourished by the people of the north and south". South Korea President Moon Jae-in is set to visit Pyongyang next week. The two Koreas have sought to pursue joint projects in multiple fields since the April summit between Moon and the North's leader Kim Jong Un in the Demilitarised zone that divides the peninsula, even as US efforts to secure concrete progress towards Pyongyang's denuclearisation have stalled.